​Manchester United have reportedly received and rejected what appears to be a fairly derisory offer from Barcelona for superstar midfielder Paul Pogba. 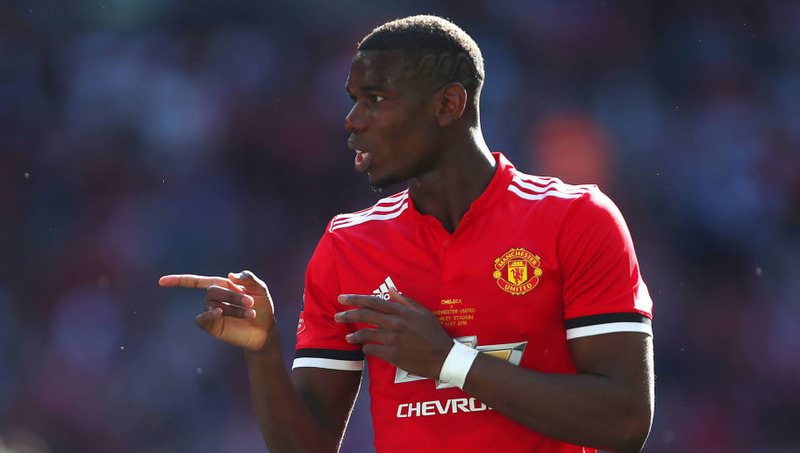 There has been speculation over Pogba's United future for a number of months and the Daily Mail even claimed on Monday evening that agent Mino Raiola is trying to 'engineer' an exit to Camp Nou for his World Cup winning client. Raiola is alleged to have been in 'detailed discussions' with the Spanish champions, although it is worth noting that the article's headline featured a completely fabricated quote that was not referenced again anywhere else in the story - 'I want Paul Pogba out of Manchester United'. According to Sky Sports in Italy, United have 'no desire to part with Pogba' and have therefore rejected the opening offer from Barcelona that totalled just £45m in cash and included Yerry Mina and Andre Gomes as part exchange in the deal. Both Mina and Gomes are fringe players at Camp Nou, with the former a target for ​Everton and the latter an individual that has badly struggled in recent seasons and who Barça have been unsuccessfully trying to offload for some time. The other thing for United to consider is a lack of time to replace Pogba had they actually been willing to consider the offer as the summer transfer window closes for ​Premier League clubs - an entirely self-inflicted wound - as early as Thursday evening. Pogba returned to United training earlier this week following a delayed summer break after the World Cup and was pictured on social media alongside Eric Bailly looking happy to be back. Given that he will have trained for just a few days by the time United open the 2018/19 Premier League season against Leicester on Friday, his participation in that game remains a doubt.